Project awarded to Ricardo-AEA by the European Commission in order to develop a common method for presenting information on the levels of key pollutants affecting air quality throughout Europe. Ricardo-AEA will be responsible for reviewing Member States’ existing air quality information systems and proposing a harmonised air quality index for all of Europe, including a prototype data platform to ensure that the information is easily accessible to the public. The air quality index will be accompanied by a list of fuel-using products assessing their performance in relation to air quality. This ‘smog index’ for various products will include road passenger vehicles as well as other small scale combustion machinery, such as petrol lawnmowers, helping consumers to understand their environmental impact in terms of their level emissions of air pollutants. In 2010 the World Health Organisation estimated that 406,000 people died prematurely as a result of the effects of air pollutants. The prototype air quality platform will help to identify periods of high pollution and deliver health advice mitigating this risk. The prototype is also being developed in response to a recent European report, which highlighted that 59 percent of Europeans still feel poorly informed about air quality issues. The work builds on Ricardo-AEA’s experience delivering air quality information platforms such as the United Kingdom’s ‘uBreathe’ and Scotland’s ‘Air Quality in Scotland’ applications, which provide the public with information on air quality in their area together with health advice. 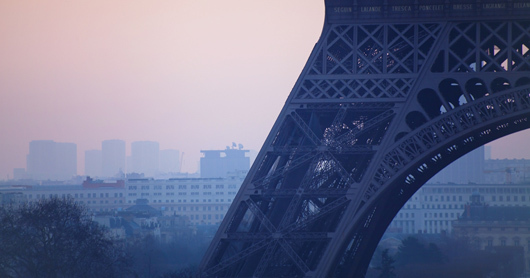 The prototype for the Europe-wide air quality platform is likely to be finalised in 2016 before being reviewed by the European Commission. For further information on Ricardo-AEA’s air quality services, please visit www.ricardo-aea.com/cms/air.